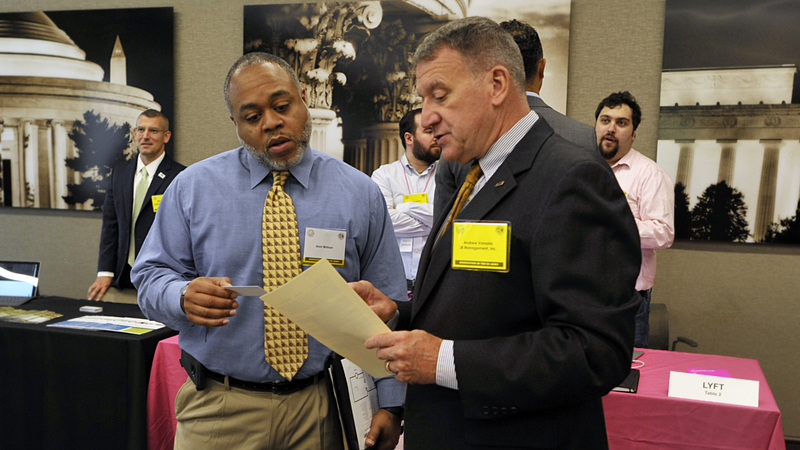 Dozens of vendors and job seekers filled the General Gordon R. Sullivan Conference and Event Center on June 19 for the Association of the U.S. Army’s Veteran, Soldier and Family Job Fair to network, talk about jobs, services, products and career information and get advice. 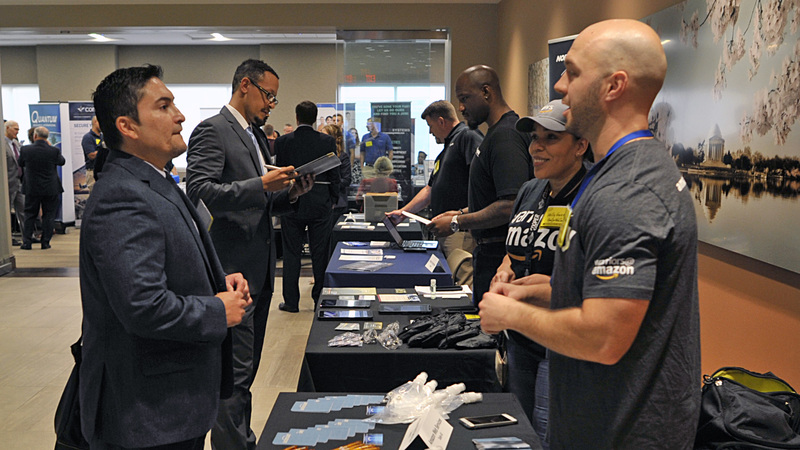 It was the second time AUSA’s national headquarters hosted the job fair, and interest among employers remained strong, attracting 64 military-friendly companies in defense, law enforcement, insurance, banking, logistics and more. 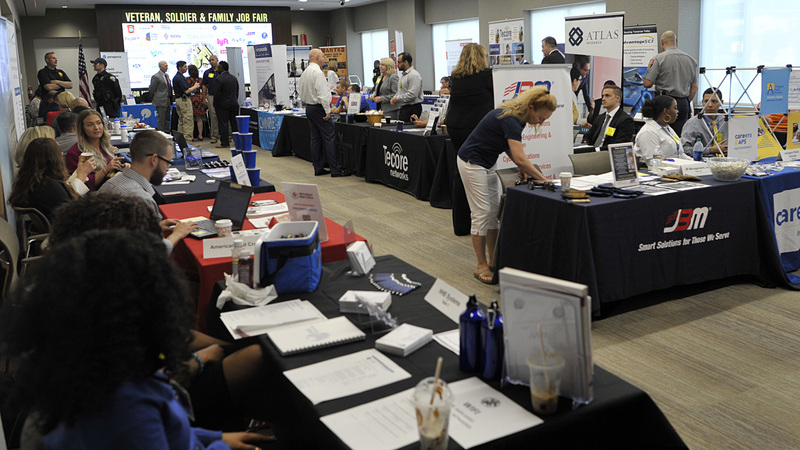 Job seekers included transitioning soldiers, veterans, civilians and family members who pre-registered online or walked in.